You won't just like the Like You Double Sided Paper from the La La Love Collection, you'll love using it for your cards, pages and more! 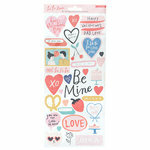 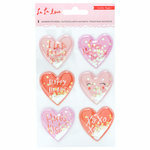 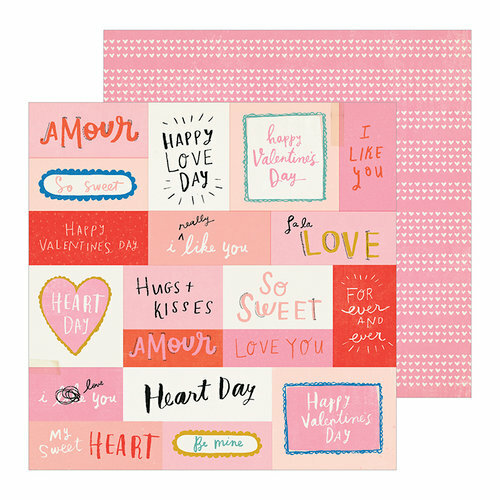 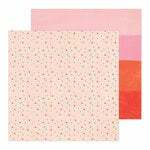 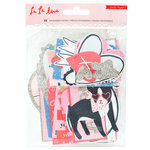 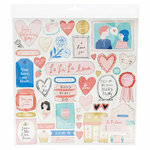 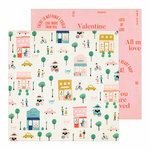 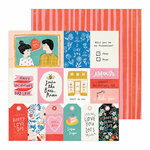 The package includes one 12" x 12" sheet featuring cut outs with expressions such as "la la love," "I like you" and more on one side and stripes made of small white hearts on a pink background on the other. 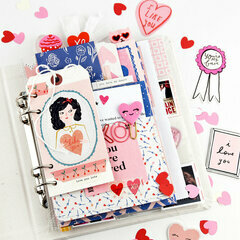 The paper is by Crate Paper.